Zolabid - Get a Price, Not Just a Review! 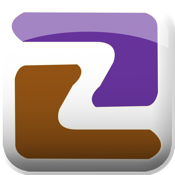 Zolabid is a fully functional app that allows you to easily post projects that you need completed and compare and accept bids from companies who specialize in those types of services. -Post descriptions and photos of projects you need completed. -Manage the projects you've posted. -Manage your account information from the app. -Accept or Reject bids from service providers regarding your projects. -Post review of your experiences with service providers. -Keep your information confidential until you decide to accept a service providers bid.